Compact Atlas of the World offers a wealth of gorgeous detail in this handsome volume, now updated in its fourth edition. At the heart of this book are 60 clear, beautifully detailed maps, featuring improved landscape modeling marked with key roads, railways, rivers, and settlements. Politically colored overview maps off a wider perspective to contextualize each nation, while 25 large-scale insets zoom in on major cities and smaller countries. 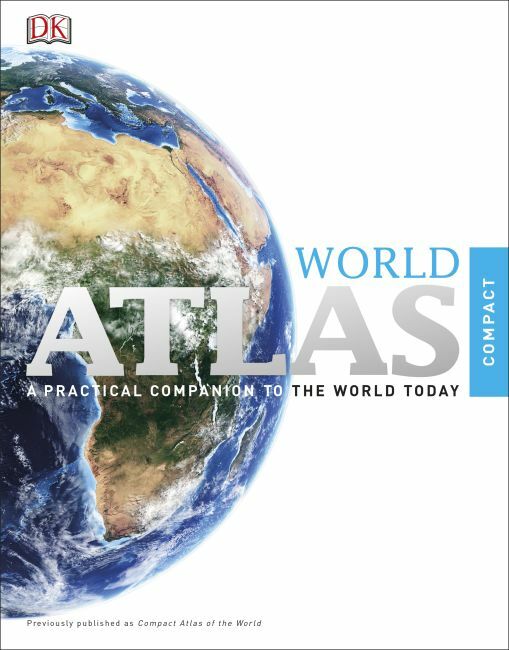 Compact Atlas of the World also includes fact files with statistical profiles of each nation and an index-gazetteer lists 20,000 geographical names for easy reference. The informative and insightful "World Today" section summarizes political, geographical, and world issues of the modern age. Truly encyclopedic, yet accessible and affordable, Compact Atlas of the Worlddeserves a place on every bookshelf.